First of all, there is no April Fools’ joke hidden in this article. It will probably not surprise many of you that I am not a fan of April Fools’ Day. That’s not just because I’ve grow into a grumpy old man in my later years – I didn’t even like it as a kid. I was never much on playing the annual pranks on people and I never could remember what day it was, so I got bitten a lot. As a result, I’ve never cared for it. That’s not a rant, but an assurance that what I’ve written for today is the truth. One of the perks of being a lowly IndyCar blogger is that I get sent books to review. Sometimes that’s a good thing and sometimes it’s not. A couple of years ago, I was sent an e-book to review by an author who has friends in higher places. It was a novel about a driver in the Indianapolis 500. That’s about all I’ll say about the plot, so that I don’t reveal which book I’m talking about. It was beyond bad. I never wrote the review. If I had been honest, I would have ruffled feathers that didn’t need ruffling. Had I praised the book, some of you may have purchased it and insisted that I pay you a refund – forever destroying whatever credibility I might have. Therefore, I never mentioned it. I chalked it up to time wasted on a bad book. 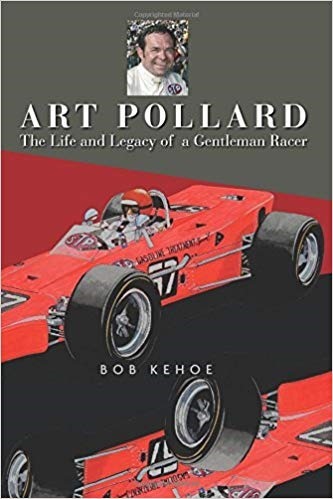 I’m embarrassed to say that I was sent a book once that even quoted me and this site, yet I still haven’t found time to read “Art Pollard: The Life and Legacy of a Gentleman Racer”. Beginning on page 232, he reprints a post I had written on Pollard several years ago. The only mistake the author made was that he referred to me as a journalist. Hardly. I told the author, Bob Kehoe, I would read and review it. A year later, I still haven’t read it. I’m also still sitting on David Malsher’s book on Will Power, and I’ve had that one for three years. One of these days, I’ll read it. But about a month ago, I was sent a beautiful book loaded with pictures as well as a lot of text. I will fully admit that I have not read the entire book, but I did do a healthy scan of not only the great photography, but also the writing. If my opinion matters, I would give it a full thumbs-up. “The Winning Cars of the Indianapolis 500” by James Craig Reinhardt is a high-quality hardback book. It is almost 9” by 11” and about an inch thick – which is big enough to make you think it’s a coffee-table book, but it’s not. Coffee-table books have a lot of photos, but little writing. This has a lot of writing about each race. It showcases the history of racing through more than 200 images of the automobiles and individuals who make the race renowned, with profiles of each race and winning car since the first race in 1911. But unlike the Donald Davidson/Rick Schaffer book that goes into great detail about each race and side-anecdotes; this book focuses on the winning car of each race. From the Marmon Wasp in 1911, to Will Power’s Chevy-powered Dallara of 2018. Each race has its own story about the car that won each race, but it does give a brief, but complete, synopsis of each race. I’ve looked through a lot of books and been through many photos from the Indianapolis 500. This book contains many photos I’ve never seen before. Like the Donald Book¸ there are a lot of reference tables in the back of the book. That’s always a good thing when you are a blogger and have to look things up in a hurry. Why did I choose today to write a review of this book? Because today is the book’s official release date. You can buy this book on Amazon starting today for $29.30. Even though I said it is not really a coffee table book, I’ve got mine sitting on the coffee table. That way, I can pick it up and just go to some random year and spend a couple of minutes reading up on what happened when Fred Frame won the 1932 Indianapolis 500, or reminisce about seeing Mario Andretti win the 1969 Indianapolis 500 when I was a kid. 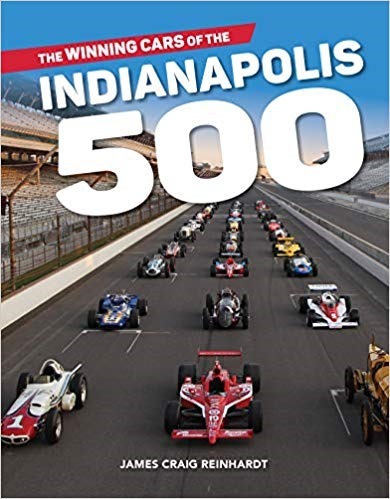 I don’t claim to be the ultimate book reviewer, but I know a well-produced book when I see one and “The Winning Cars of the Indianapolis 500” is one. If you’ve got an extra thirty bucks lying around inside your couch, spring for this book. The timing is perfect. By the time you read it, you’ll be in the right frame of mind for the Month of May. Oh, and by the way…that is no April Fools’ joke. This entry was posted on April 1, 2019 at 4:03 am and is filed under IndyCar. You can follow any responses to this entry through the RSS 2.0 feed. You can leave a response, or trackback from your own site. I READ EVERYTHING I CAN FIND ON THE SPEEDWAY AND EVERYONE THAT WAS OR IS INVOLVED. That cover photo is beautiful. I bought a copy of it at the speedway photo shop back in 2016. How about how many I buy with the good intention of reading them?